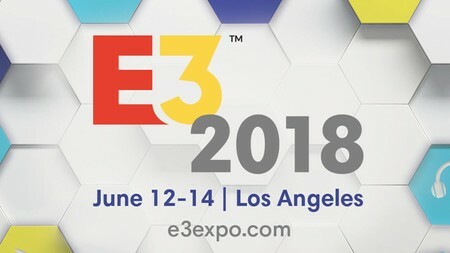 For me, E3 was never something I paid attention to until a few years ago. I don’t know why, but I was always oblivious to the fact that all these games were being announced in the middle of the year. I’ve since grown fond of the convention (would absolutely love to attend one year…but that’s another story). Going into it this year I’m excited to see what’s going to be unveiled all across the board. With the Switch, I’m really excited because it’s been a while since I’ve been this excited about a Nintendo console. Here’s a few of the things that I’m hoping to see from Nintendo. After the big bomb dropped on Super Smash Bros not too long ago, I think we can safely expect to see some more on this bad boy. Since it’s a fighting game, there won’t be need for much of a trailer or story reveal, nothing along those lines. No, the stars that shine brightest from these games are the fighters. I think we’ll see a mini-roster announcement that will be filled with a bunch of familiar faces like Mario, Link, Kirby, the usuals, before it builds into a reveal on a new character (well, new for Smash) to get everyone hyped and leave ’em wanting more. It’s been a few years since the world of Pokemon was introduced to the Alola region of Sun & Moon. We’ve also seen Ultra releases of these two games as well. I think it’s likely we’ll get to see a reveal of a new game in the franchise. If so, this could also potentially double into the reveal of (maybe?) their next handheld console. There were seven years between the release of the DS and 3DS, and it’s been seven years since that came out so…maybe? Or it could possibly be that, with the portability of the Switch, these little pocket monsters might make it on to the bigger screen? And to clarify with the recent unveiling of Let’s Go Pikachu/Eevee, I’m talking about a new game along the lines of Red/Blue, Gold/Silver, Black/White, those Pokemon titles and not just a game that carries the name. It may be a little more unlikely now with the Let’s Goannouncement, but it could still happen. Ever since my childhood, there has been one game I’ve always loved, and it has never, in the now 21 years since it’s release, seen a sequel. And no, I don’t count the DS port of the original version. I’m talking of course about Diddy Kong Racing. The game was fun, I think I spent more hours playing it as a kid than I did Mario Kart, and I would probably (and legitimately) squeal with excitement if this title drops. It may just be a dream, but sometimes they do come true.